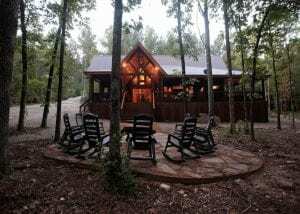 Broken Bow Lake Cabin Rentals, LLC accommodates groups of up to 26 people. Please see the Group Offerings below. 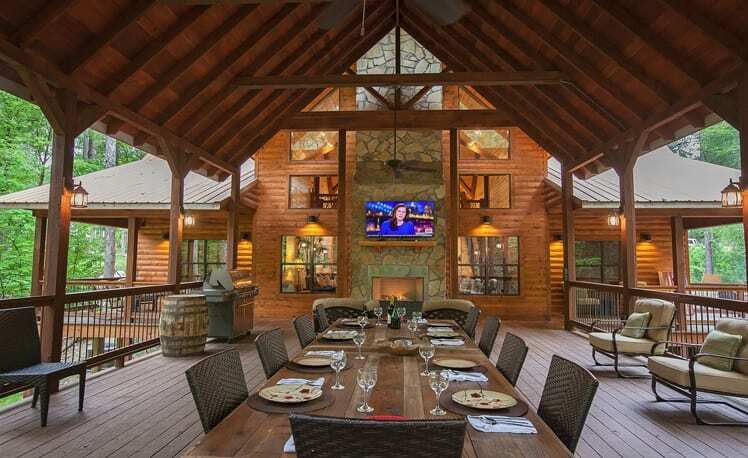 Our largest 2-Lodge group offering are Deer Hollow Lodge and Wisdom Creek Lodge. These 2 upscale lodges sleep up to 12 and 14, located next to each other in Timber Creek Trails. Each lodge is ~4,500 sq. ft.
Another group offerings is a two-cabin group, where the 1st cabin is Timber Rock Lodge (sleeps 10-12) combined with the adjacent Top Notch Lodge (sleeps 8-10). Both cabins are positioned high on a ridge with spacious overlooking decks and a creek view. Timber Rock Lodge is spacious, wheel-chair accessible, with 3000 sq. feet, 4 bedrooms and 3 full baths. 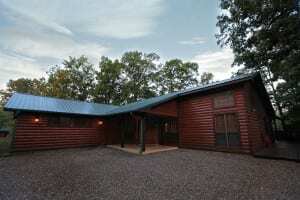 Top Notch is 1800 square feet with 3 bedrooms and 2.5 baths. 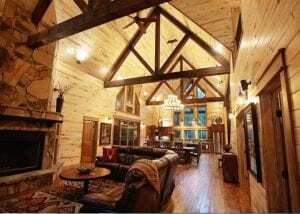 Both cabins offer media/game rooms and are very upscale with wood burning fireplaces, large HDTVs, with room for families and groups. 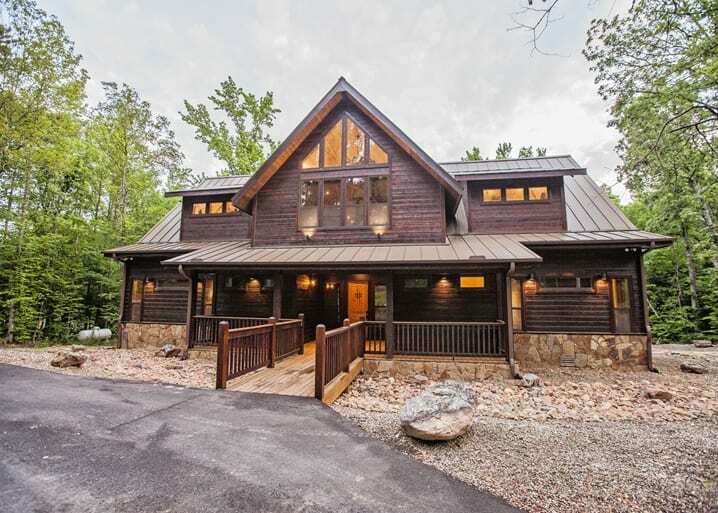 Another Large Group/Family Cabin is Copper Spa Lodge, which sleeps up to 14. 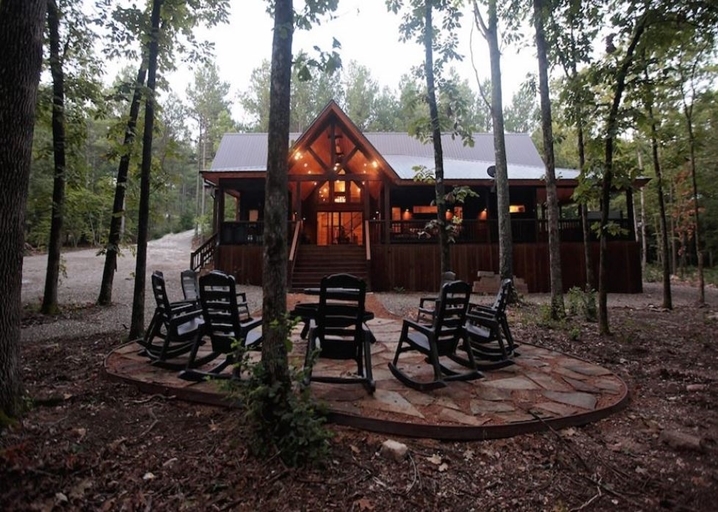 There are several cabins around Copper Spa Lodge, which are in walking distance. These nearby cabins are offered by other companies and we can contact them and make rental arrangements. Please contact us at 580-306-6700 for help with Large Family or Group Cabins. 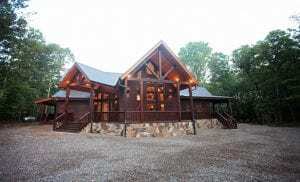 Also, you may email us at info@brokenbowlakecabinrentals.com.